Since 2013, Sunrise Rotarian Ken Puzey has been fighting against water-borne diseases in Kenya. His efforts started with a trip to the Carribean. Ken witnessed the horrors of unclean drinking water first hand during his April 2013 trip to Haiti, volunteering for a medical clinic in Port-au-Prince. Prior to his arrival, 5,000 people died from a cholera outbreak. In the Port-au-Prince medical clinic, virtually every individual was infected with water-borne parasites. There were two eight year old girls that had parasitic worms in their legs, eating their flesh. Ken could hear one of the girls screaming as the worms were painfully removed from her legs. Through witnessing these horrors in Haiti, and having knowledge of the Kenya water crisis, Ken was determined to create a sustainable solution to boiling water. The solution: solar power. To boil and clean water, one must have resources. The traditional method is to burn wood to boil water. In Africa, wood is consumed at a rate that is twice as fast as it grows, which is unsustainable. Further, as the supply of wood decreases it becomes more expensive. This expense either occurs in the form of paying more for wood or more hours spent traveling to a wood supply to gather wood. Unfortunately, due to lack of resources, many families simply do not boil and clean their water, putting their lives in danger. 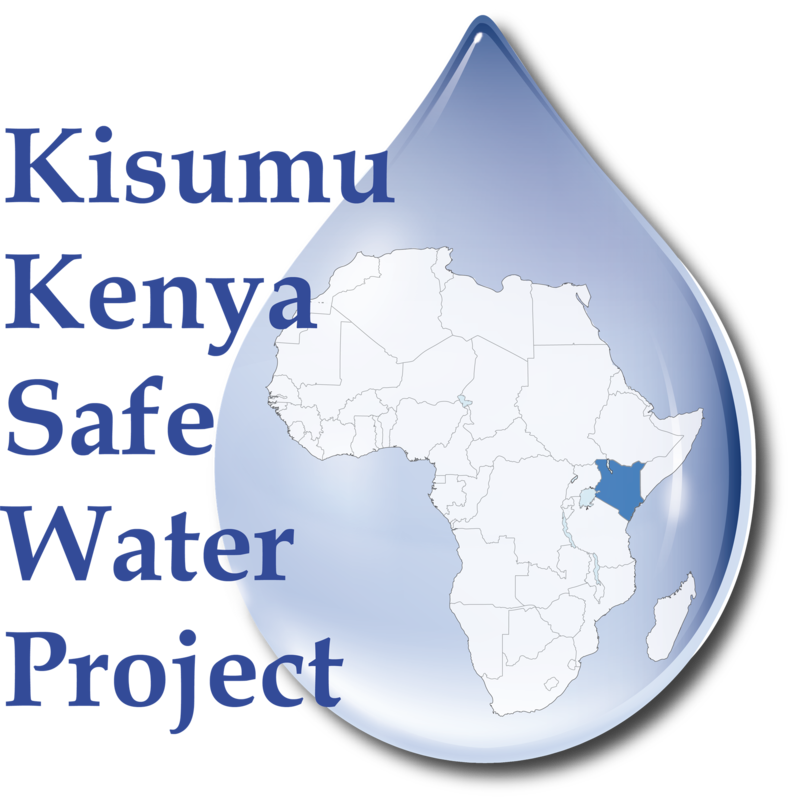 In Kenya, 1.3% of population dies each year from drinking unsafe water. This led Ken to invent an efficient, low-cost, solar-powered water boiling device. And to properly distribute this device, he started the Kisumu Kenya Safe Water Project in July of 2013. Click here to see Ken's official website and click here to donate. Ken's key partner in Kisumu, Kenya is Reverend Julius Otieno Nyambuoro, the Chairman of Christ’s Commission Fellowship Church in Kisumu. He handles arrangements for delivery of raw materials. He also recruits, trains and manages local personnel. He's pictured on the right of the photo below. In addition to bringing safe drinking water to hundreds of Kenyans, the Safe Water Project also employees members of the community who deserve a better life. The project employs many "aged out" orphans. Due to AIDS and other epidemics, it was estimated in 2016 that Kenya had nearly 2 million orphans. When an orphan reaches 18, they are no longer allowed to stay in orphan facilities. These teens, who often lack basic identification papers required for jobs, must fend for themselves without family assistance. 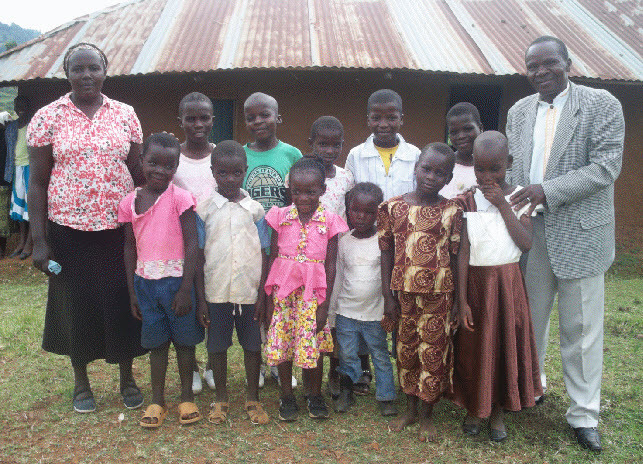 CLICK HERE to see some of the aged-out orphans that your donations help us employ at the Kisumu Kenya Safe Water Project. Below is Ken with Project workers Charles Odhiambo (center) and Faith Achieng (right). 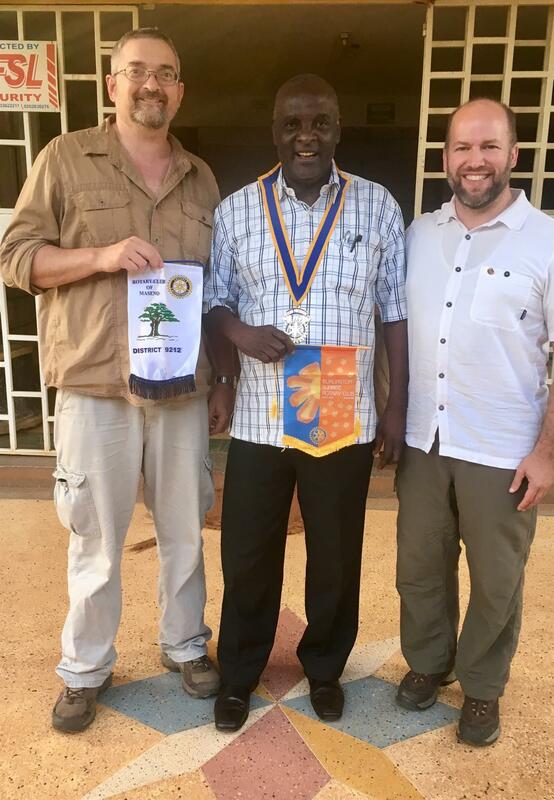 Here is a picture from Ken's November 2016 visit to Kisumu, Kenya, when Ken (left) was joined by fellow Burlington Sunrise Rotarian Phillip Bosen (right). In the center of this photo is the President of the Maseno, Kenya Rotary Club. The Maseno club has committed two volunteers to help train the the solar panel boiler workers with selling tactics and basic business mentoring.